Christmas is next week! If Santa needs a little help with stuffing stockings, I’ve found some unique and fun ideas for all on your list. 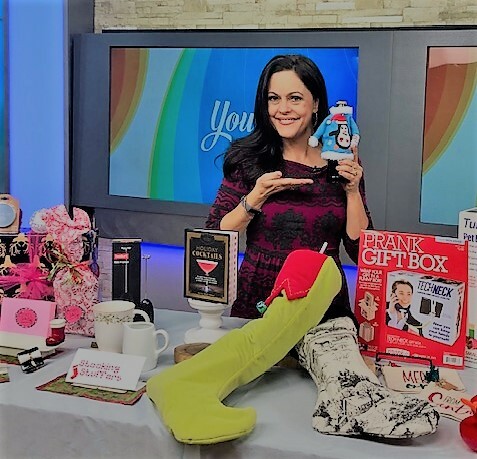 I showed this fun array of ideas today on my Your Life Arizona morning show. I recently heard about a unique boutique called In The Pink, located in the Camelback Village Center at Camelback and 44thStreet. I ventured over there and I left with three full shopping bags! Talk about unique and fun! 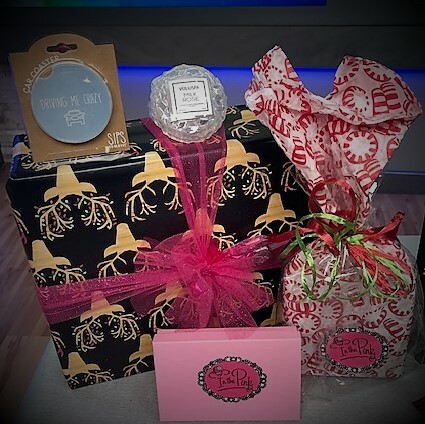 This local gem has gifts for everyone on your list and for all occasions year-round. Here are some fun items that I think are perfect for the stocking and In The Pink has plenty of inventory, too. *SIPS Drinkware Car Coaster – I love this one for anyone who likes to keep their car spotless. The coaster fits in the car cup holder and keeps spillage from seeping into the holder. The product comes with fun phrases like“Driving Me Crazy” and other fun sayings plus a portion of the proceeds is donated to build wells in Uganda. I love gifts that give back. $9 a piece. *Voluspia Milk Rose Candle – Smells so beautiful with a light rose scent, is beautifully stored in a clear candle case with a lid and is small enough to fit perfectly in a stocking. $18 at In The Pink. *You’re Lookin’Sharp tea towel and other themed items with this cute design that shows a prickly cactus. Get it? The sharp phrase as in the cactus! Love it! For the kitchen, this is great in a stocking. Sells for $18 at In The Pink. *Nora Fleming line! This line sells all kinds of white dishware that has interchangeable minis, which are decorative inserts, to coordinate for any occasion. 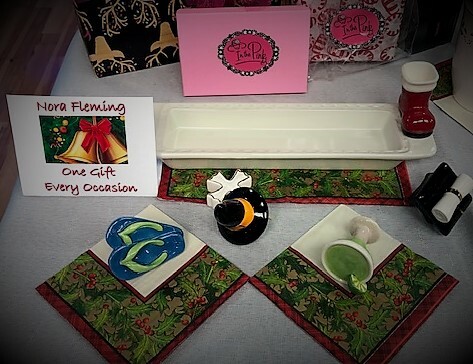 I bought the Nora Fleming cracker tray for $36 at In The Pink for a gift. I will give this to my recipient with the cute Santa boots mini (minis sell for $15 each) and I will place the fun witch hat mini in her stocking. So, with the base cracker plate, she can now set it out or take to a potluck, etc. for a Christmas event and then next October for a Halloween party. Every year I can add another mini to her stocking for different occasions. The Nora Fleming line sells every kind of mini you can think of like a margarita glass, cross for a church event, cap and gown for a grad party, flip flops for a summer party and more. This is such a fun tradition to start. I can’t wait to give my friend the cracker tray and every year (and/or other special occasions) give her more minis for her tray to be used at all kinds of events. Love this! In The Pink will also provide free beautiful gift wrapping with your purchase. I also love that this pretty In The Pink shop is locally owned. Support local for sure! *Hallmark Great Friends Drink Alike plastic covered wine cup with top and straw – I found this waiting in line at the FedEx Office located at 20thStreet & Camelback. I noticed that all the FedEx Office locations have unique gifts. This one is for the pal you want to drink wine with on your outdoor furniture without spillage. Fun and funny. $8.49 at FedEx Office. 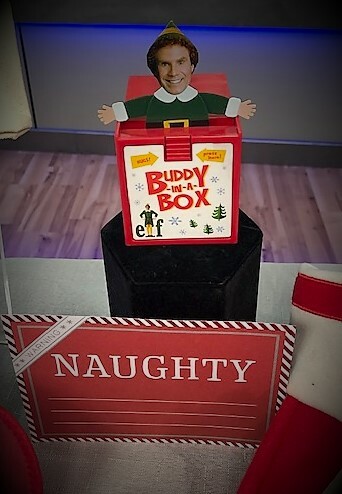 *Talking Buddy-In-A-Box – ($7.54 at Barnes & Noble) – For the Elf fans (and there are many) this cute gift has Buddy popping out of a box asking, “Does someone need a hug?” in Will Ferrell’s Buddy voice. 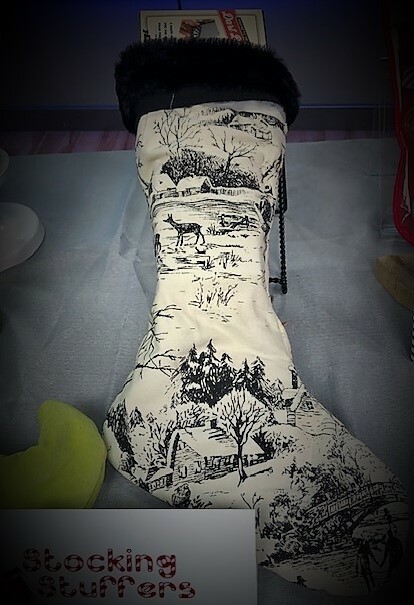 This silly and festive stocking stuffer can be part of next year’s holiday décor. 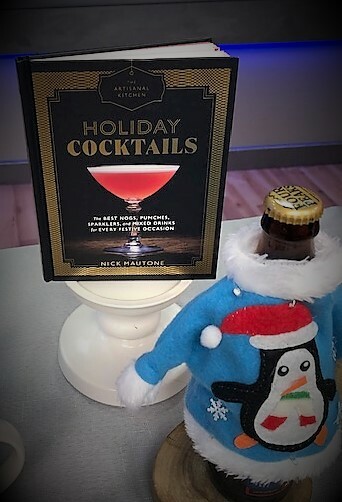 *Holiday Light Up Ugly Sweater Bottle Cover – ($6.99 at UPS store) – I was pleasantly surprised to find these keepers at my local UPS store in Ahwatukee. Place over a favorite bottled beverage and the recipient will receive a drink with a holiday themed sweater cover that lights up and blinks. A fun find in the stocking. *Prank Gift Boxes — I also found hilarious prank gift boxes at Target. 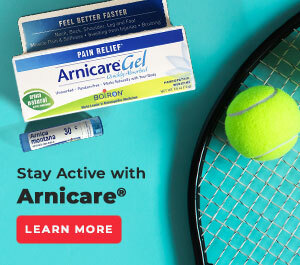 Even though these aren’t stocking stuffers, I had to share because they are so funny! 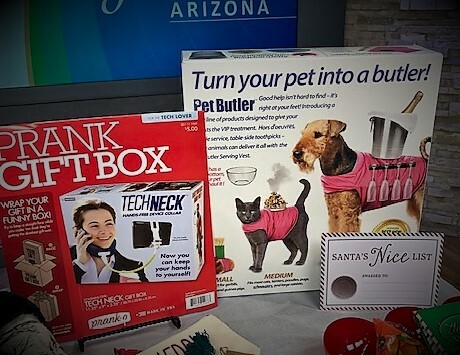 One box shows a dog with a tray of beers strapped to his back and says for the “pet lover” and is called the Pet Butler Serving Vests for Pets. Another one shows a crazy contraption that straps a cell phone to the front of a person’s face and is labeled for the “tech lover” ($4.99 at Target)…so funny! Put a special surprise gift (like a pair of much-wanted concert tickets) in the prank box. This is sure to get some laughs on Christmas morning! These are also sold here on Amazon. *Magnetic Desktop Dart Board – ($5.09 at FedEx Office) – Looks cool on an office desk and relieves stress to spend a few minutes playing a quick game of darts with the three magnetic darts that come with the desk top mini dart board. Small enough to fit in the stocking. *Wondershop at Target Seasoning Rub Collection – ($7.99 at Target) – For the grilling guy, this handy little set fits in his stocking and gives him three different varieties to grill with that include lemon pepper, garlic and herb and smokehouse BBQ. Yum! 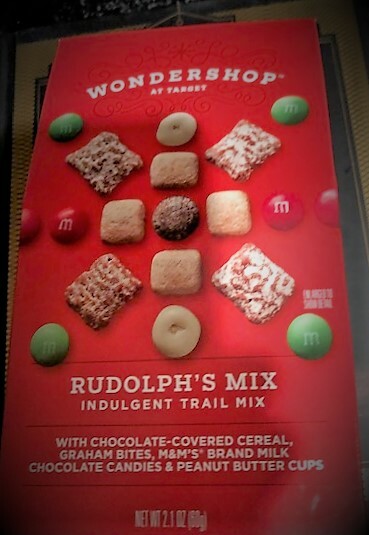 *Wondershop at Target Rudolph’s Mix Indulgent Trail Mix – ($1.99 at Target) – I always think of guys when I think of trail mix and this one has a cute Rudolph theme with graham bites, white-chocolate covered cereal, M&Ms, peanut butter cups and more. *Glow In The Dark Putty – ($5.09 at FedEx Office) – A classic toy, Silly Putty. This one fits in the stocking and glows in the dark. Not for kids under 3 years old. *Oversized bath bombs – ($8 at Target) – For the kids that love bath bombs, these are huge, literally! Each one has a special name like Mermaid & Make A Splash or So Magical. 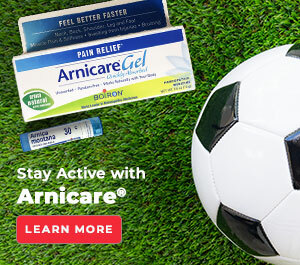 Great for the stocking. *LOL Surprise Ball – ($9.99 at CVS) – These balls are a blast for kids. Each one contains layers of surprises leading up to the doll or pet that is found in the very center. Each time a child opens a layer, an accessory, that will be used with the doll or pet, is opened like clothing, roller skates, a water bottle and more. Super cute to find in the stocking, open each layer, put the doll or pet together with the accessories and then playtime. 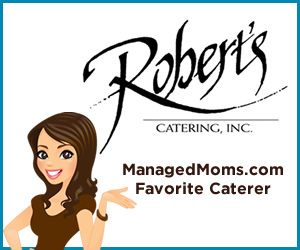 They can be fed and some even tinkle glitter…if you can believe that! Fun! *Mini Desktop Bowling Set – ($6.99 at FedEx Office) – Great for kids and/or a desktop office fun item to have on hand. *Mini sized designer fragrances from Nordstrom Rack – Really good and popular perfumes like Burberry are sold in mini sizes at Rack. Right on for her stocking and great for her purse and traveling, too. I bought the mini size at Rack for $9.97. 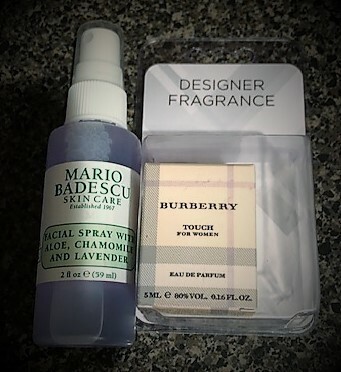 *Mario Badescu Skin Care Facial Spray mini size – Applying a finished made-up face with a good setting spray has become all the rage and does add a glow and helps to preserve makeup. Mario Badescu makes a nice one both in a pretty and light rose and another variety with aloe, chamomile and lavender. Giving her the purse-sized one will be a nice find in her stocking and is also great for travel. $5.00 for 2 fluid oz size at Rack. 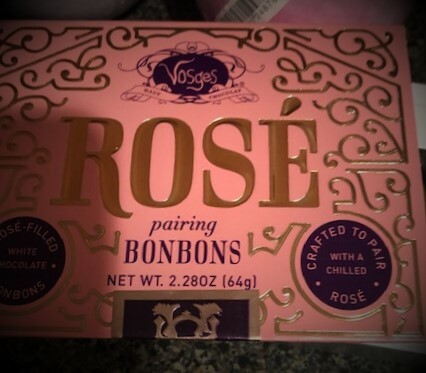 *RosePairing Bon Bons – ($9.99 at Target) – Delicious box with six beautiful bon bons filled with Rose wine in white chocolate made to enjoy with a glass of wine. She will love these unique bon bons for sure! *Peppermint Good Soap – ($2.50 a bar or buy 3 bars for $2 each at Whole Foods) – – This is great soap year-round and the peppermint scent is perfect for the stocking. 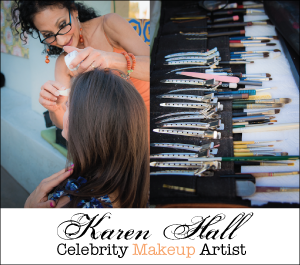 Plus, this company gives back a proceed of the sales to international charities. Good stuff. 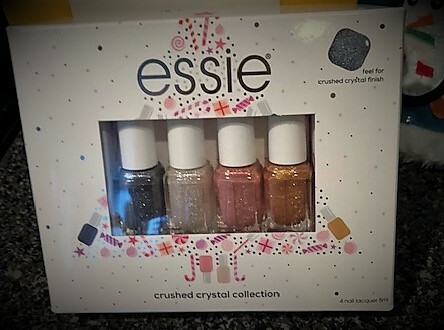 *Essie Crushed Crystal Collection Mini Nail Polish Set – (12.99 at CVS) – Perfect size for the stocking, for travel and the polish shades are holiday colors, too. *e.l.f. Glow on the Go Selfie Light – ($15 at CVS) – This cracks me up, but it works great! Add just the right amount of light to your next selfie with this gadget that attaches to the phone and has three levels of brightness to add to the selfie finished picture. 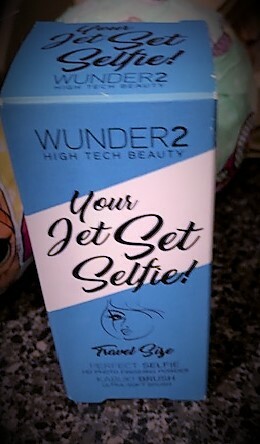 *Wunder2 Jet Set Selfie Photo Finishing Powder – ($12.95 at CVS) – Our show makeup artist, Karen Hall always tells us to wear our finished powder for on camera and the same is true for a good selfie, so this travel-sized powder is perfect for the selfie-loving stocking receiver. 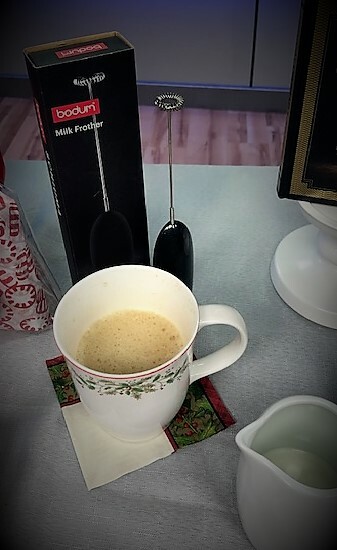 *The Bodum Milk Frother ($6 at Target) is one of my favorite gifts that I have received. Small and lightweight, this battery-operated gadget is used to whip a cup of coffee with added cream (can also use almond milk, coconut milk, etc.) into a yummy froth in seconds. They will be their own mini barista with this perfect stocking gift. 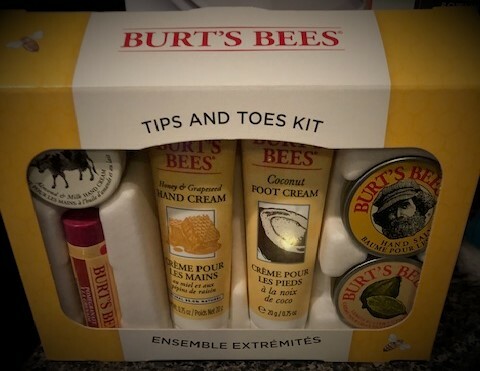 *Burt’s Bees Tips and Toes Kit ($12.99 at CVS) – Burt’s Bees is such a good line and this helpful kit can work for both gals and guys. Six items are packed in the gift box, that fit perfectly in a stocking, and has everything needed to combat dry winter skin. A hand salve, lemon butter cuticle cream, coconut foot cream, honey and grapeseed hand cream, almond and milk hand cream and a lip balm are all included. *Flexilight Booklight & Bookmark In One – ($10.99 at Barnes &Noble & Target) – This comes in designs for both the guys and the gals and is a smart stocking gift because it works as a bookmark and a light, too. It is portable and adjustable and clips easily onto the book pages. 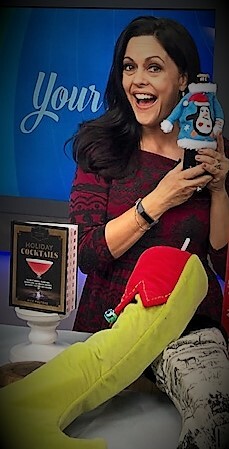 *The Artisanal Kitchen Holiday Cocktails Book – ($10 at Target) –Written by a master mixologist, this recipe book includes all kinds of festive cocktails for every occasion as well as tips for making spirits that light up the party and wet the whistle. 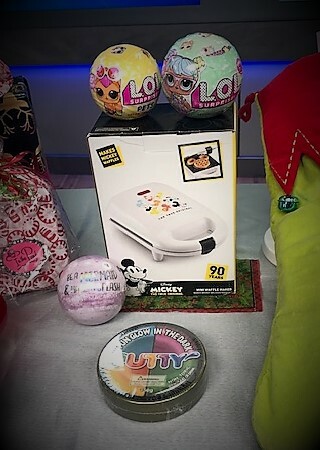 *90thAnniversary Mickey Waffle Maker – ($16.99 at CVS) – I was so surprised to see that CVS has a big assortment of Mickey Mouse items including cookware like a cute mini waffle maker and a toaster, too. 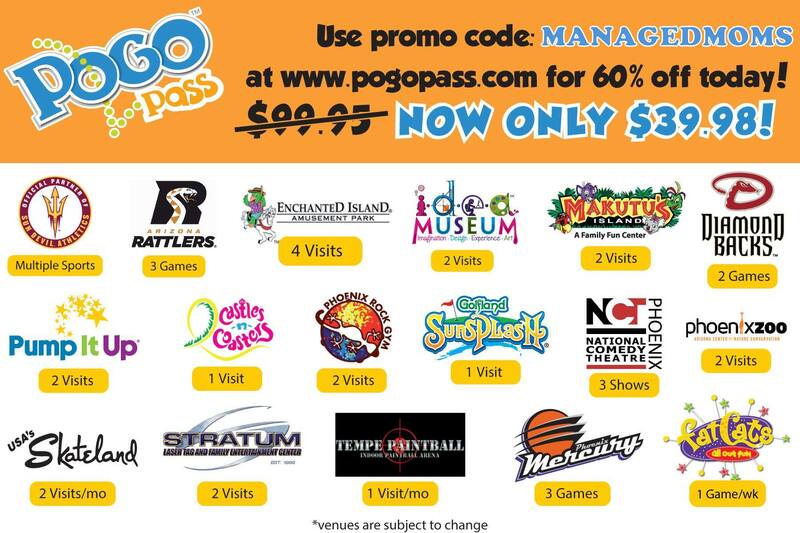 For the Disney lover and kids, too. I hope these ideas help you with your last-minute stocking stuffing! Thank you all following my blog. It is so appreciated! I wish you and yours a happy holiday season and a bright new year ahead! Cheers!